Ty’Asia joined StreetSquash in 2018. She graduated from Rutgers University-Newark in 2018 with a BA in Social Work and a minor in Criminal Justice. 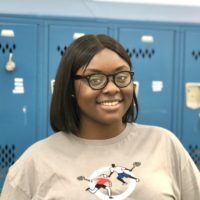 Her experiences at Rutgers-Newark include school counseling, academic advising, and even advocation for the homeless, all of which have groomed her to join the StreetSquash team.